When I was a kid, we’d always decorate the Christmas tree with candy canes. Other things, too, of course, but we always put up a box of candy canes and tried really hard to wait until after Christmas to eat them. 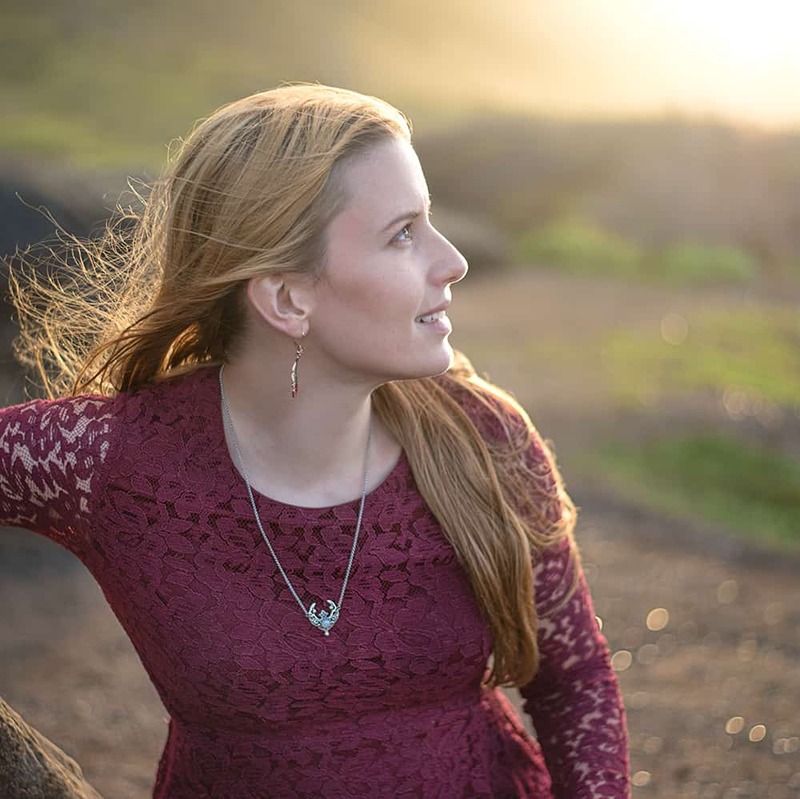 In Hawaii, mints, candy canes, cough drops, gum, and basically everything else has a tendency to turn gooey and mushy after a while. (Depending on the weather and humidity, sometimes a very short while!) 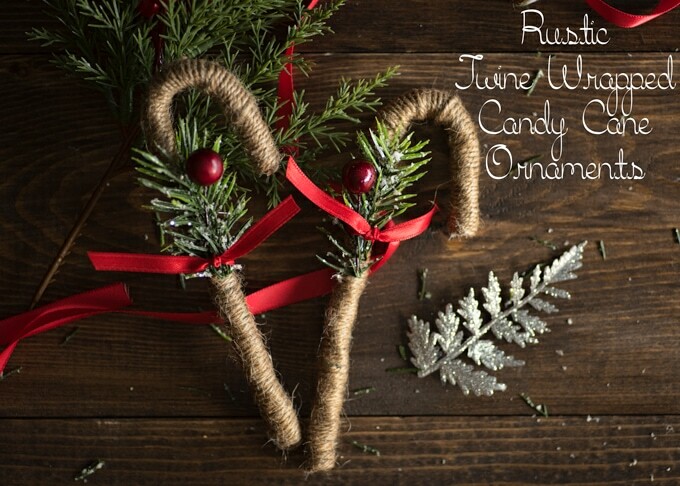 That’s why I decided to create and share these rustic twine candy cane ornaments! 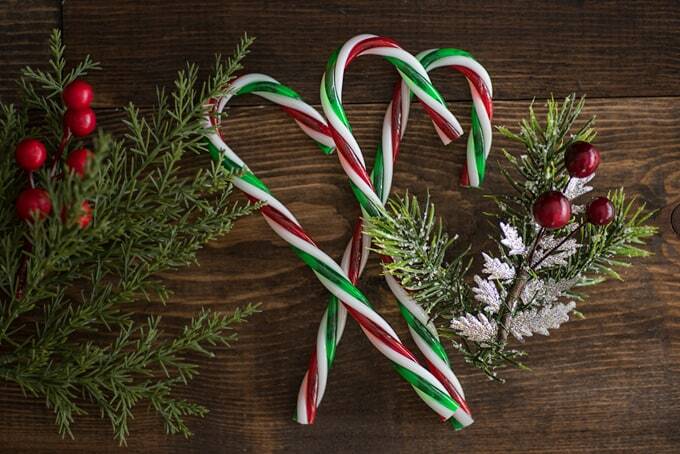 With this technique, you can spruce up faux candy canes to create an ornament that will last for years, regardless of the humidity. Plastic candy canes! It doesn’t matter what color they are because you’ll be covering them up! 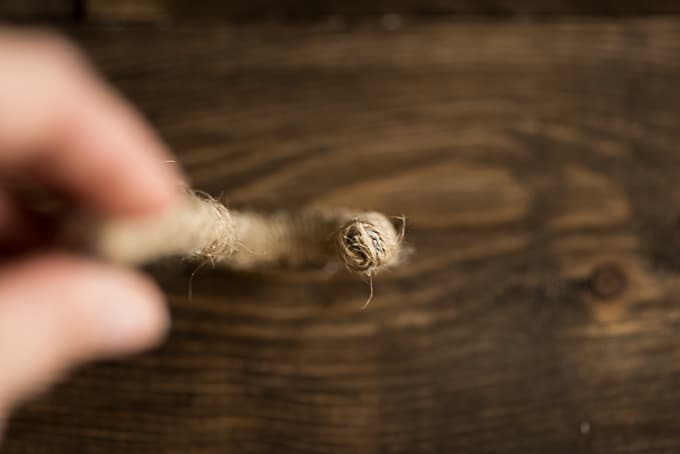 Twine. 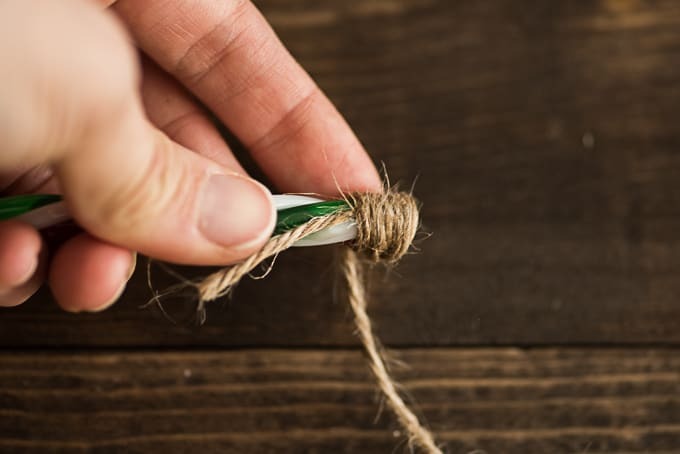 I experimented with different types of twine and I found that fairly narrow twine, but not the super narrow, smooth hemp cord you use to make bracelets, works best. 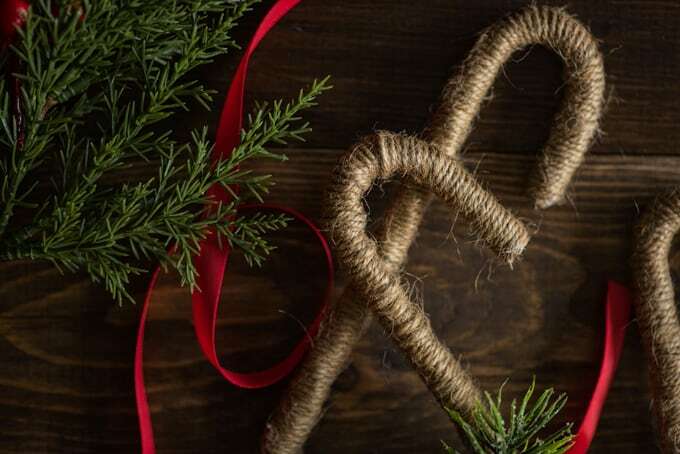 Unless your candy canes are oversized, thicker twine is more difficult to use. I imagine baker’s twine would be pretty cute, too! Ribbons and additional decorations (berries, springs, tiny pinecones, etc) – totally optional. I cut apart small pine and berry spray and used the pieces. Use indoors or out to decorate trees, wreaths and other holiday decorations or as package tie ons. Each candy cane is approx. 7 inches long. Bright colors, red and white.Shiny to reflect holiday lights. 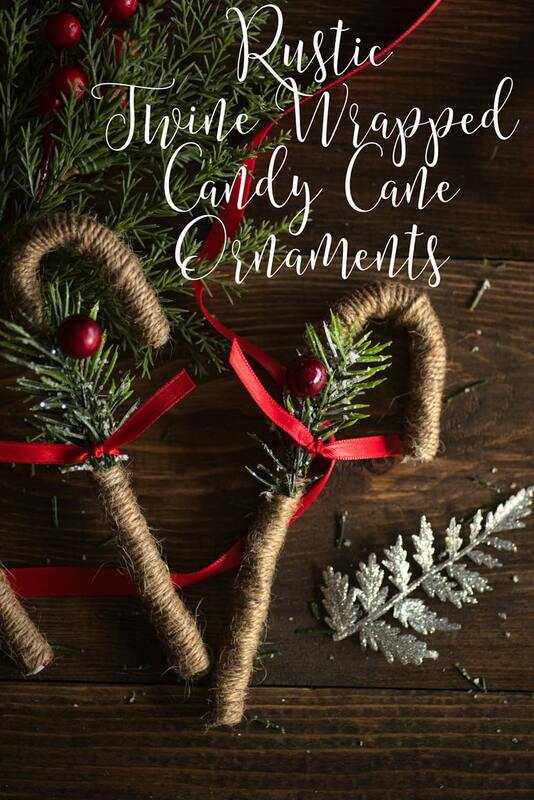 If you live somewhere with candy cane-friendly weather, you might be able to make these with ‘real’ candy canes, but be careful because I suspect the hot glue would melt the plastic wrapper and leave you with semi-exposed candy that might attract bugs. Wrapping a candy cane will probably take more twine than you’d guess! I recommend not cutting any twine off the spool until you’re almost finished wrapping a candy cane. 1. Heat your glue gun! 2. 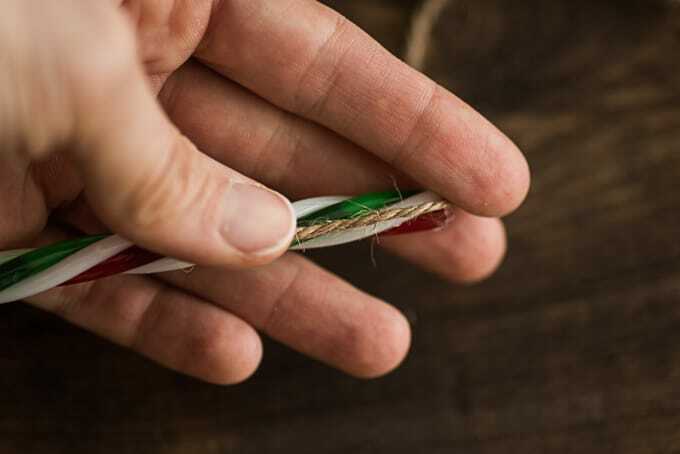 Lay about an inch of twine down the candy cane, as shown. Update – You can prevent scorched fingers with these inexpensive silicone finger protectors! I wish I’d purchased some years ago! 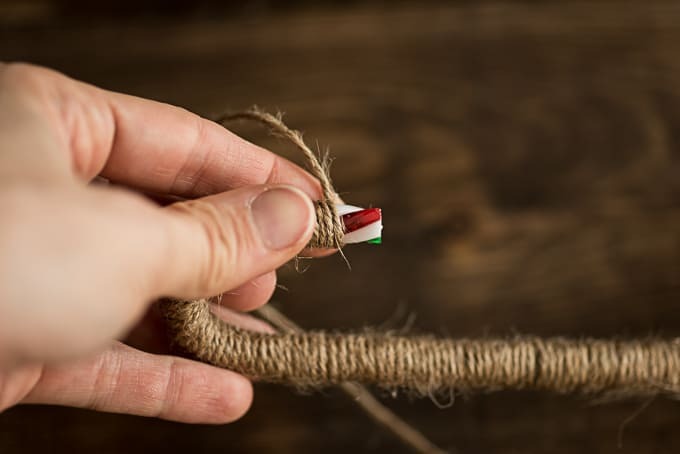 You may need to make a couple of wraps that go around existing wraps to help the twine stay in place at the end (you can see in the photo below that not all the wraps are completely on the candy cane – some loop over the twine). 6. Your twine candy cane ornaments are basically finished now! However, they can be made even more cute by adding extra decorations, like ribbons, greenery, berries, and pinecones. I glued each piece of greenery in place, then lightly added a bit more glue for each berry, then tied everything in place/concealed the glue with a piece of 1/4″ ribbon. What ornaments did you always put on the tree as a kid? Anyone else try to sneak candy canes off the tree ahead of time? Those are super cute! I didn’t see this until after Christmas but I’m saving for next year! I have some real candy canes up on my tree, but yeah, I think they’re probably one gooey mess..! Oh well! These are super cute and look super easy to make! Saving it down for next year!